This radish salad tastes refreshingly light and makes for a great alternative to the classical salad as a starter or side dish. It’s quick and easy to make and keeps well in the fridge for a few days. Even if I’m not a huge Oktoberfest fan (anymore), I thought it’s the perfect time to share some Bavarian recipes, since the one for shredded pancakes (Kaiserschmarrn) – which also is Austrian originally – is pretty much the only one on the blog. 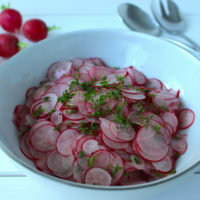 So let’s begin with this delicious radish salad! There will be a couple more Bavarian recipes coming up this week. 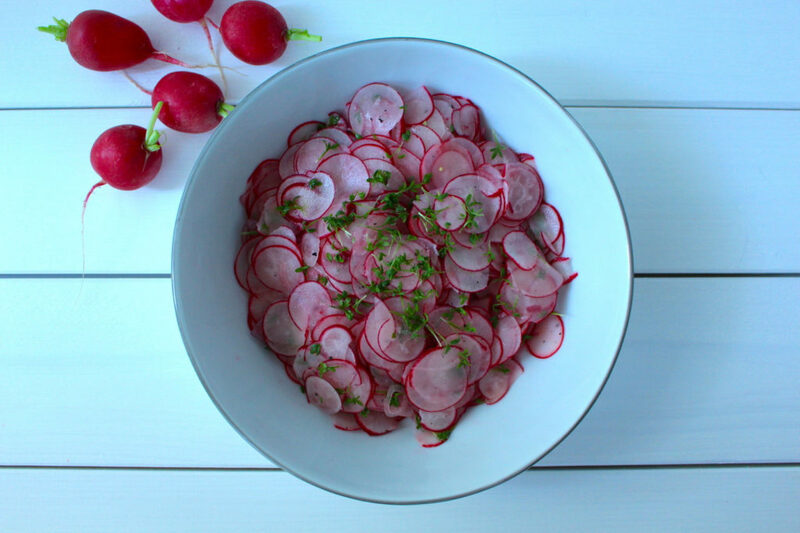 This radish salad is quick and easy to make. It's crisp, refreshing and light. Thoroughly wash radishes and shred or cut into very thin slices. Cut shallot into thin slices. 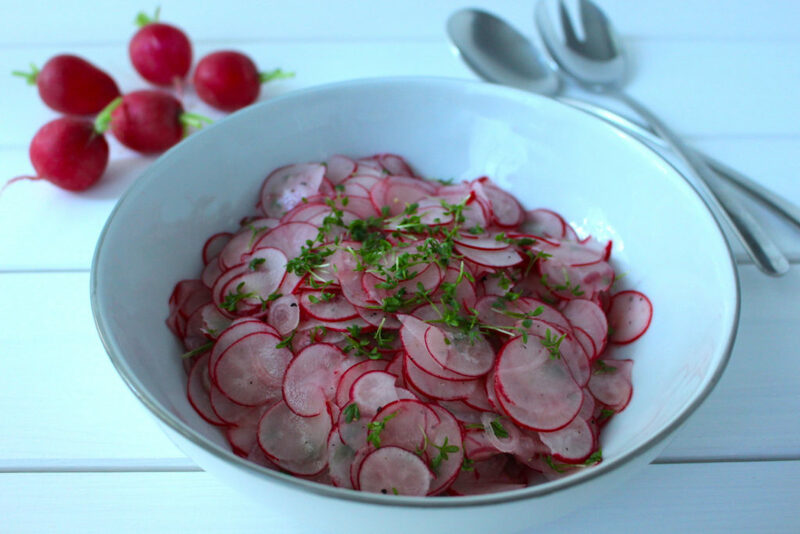 In a large bowl, mix together radishes, shallot, and herbs (I used cress). Mix together olive oil, lemon juice, salt, and pepper and add to salad. Mix well and add some more seasoning if necessary. Enjoy right away or marinade in the fridge for a few hours. Marinated for a few hours, this salad tastes even better. Keeps well in an airtight container in the fridge for 2-3 days. I hope you love this recipe – please let me know in the comment section below! If you make this radish salad, make sure to take a photo and share it on my Facebook page or on Instagram, using the hashtag #minamadefood. Oh and don’t forget to tag me (@thisisminamade) so that I can see your creations!